Wells Fargo & Company is a diversified financial services company providing banking, insurance, investments, mortgage, and consumer and commercial finance through more than 9,000 stores and more than 12,000 ATMs and the Internet (wellsfargo.com) across North America and internationally. We're headquartered in San Francisco, but we're decentralized so every local Wells Fargo store is a headquarters for satisfying all our customers' financial needs and helping them succeed financially. One in three households in America does business with Wells Fargo. 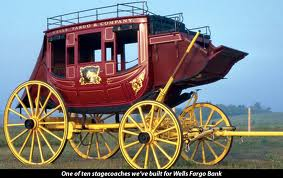 Wells Fargo has $1.4 trillion in assets and 273,000 team members in more than 35 countries across our 80+ businesses. We ranked fourth in assets and first in market value of our stock among our U.S. peers. Among all financial services companies, we ranked first in market value in the U.S. and third in the world, as of 9/30/12. We're committed to providing community solutions ? local responses to local needs. We promote economic development and self-sufficiency through community development, financial education, cash contributions, affordable housing, environmental stewardship, and through the efforts of our enthusiastic team member volunteers. In 2011, Wells Fargo invested $213.5 million in 19,000 nonprofits nationwide, surpassing $200 million for the fourth consecutive year.